If you are like me then you've been watching the mocks for years and have gotten a little burned out by them. The Dolphins rarely pick the player that most of the mocks have going to them. Last year it was pretty obvious that the Dolphins needed an offensive lineman, and they did get one, but he was projected to go in the 2nd round or even late in the first round, so, most mocks missed it. 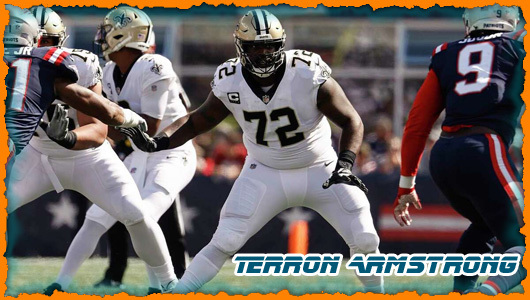 OT Juwa'an James ended up being a very good addition to the Dolphins OL until he had to move from his natural RT position to the LT position with the season ending loss of LT Brandon Albert. There are one of three immediate needs that the Dolphins have to address in the first round: CB, WR, ILB. The mocks have 21 selections addressing the CB position and 14 selections addressing the WR position. The Dolphins are desperate for OL help, but they've addressed that several times in the past in the first round. What we really need are playmakers. The draft this year is heavy with good wide receivers and running backs, but the Dolphins do not have a 3rd round pick this year as they traded it for Kenny Stills. Consider a WR draft pick this year to make things simple. The Dolphins are remaking their group of WRs. They will either draft another one, or add one in free agency after the draft ... maybe both. As far as the CB position, this is Brent Grimes last season on his contract. The Dolphins may not resign him next year because of the cost of Suh in his second year with us. His biggest hit will be next year. While Grimes is a fan favorite and athletic freak, he is getting up there in age. The Dolphins cannot really count on Jamar Taylor either. He has injury issues and has not developed into the starter they projected him to be. If Trae Waynes falls to the Dolphin then expect the best CB in the draft to be selected. Koa Misi is a good OLB, but is just an ok MLB. He was not very dependable for the Dolphins. I would not be surprised to see the Dolphins draft an ILB in the first or second round, and then move Misi back to OLB. Misi is just a band-aid in the middle. While there are several good OLB prospects in the first round, the Dolphins would be over-drafting if they selected one in the first round. There are good ILB players to be selected in the 2nd round. Do the Dolphins draft CB or WR here? I would say that it depends on the value of the player that falls to them. If Waynes is available, I think the Dolphins have to go with Waynes. He would be a CB the Dolphins could depend on for many years. He could also use a year of learning from the master on the other side (Grimes). If Waynes is not available, but WR DeVante Parker is available, I expect the Dolphins to take Parker then. There is a very good chance the Dolphins will cut WR Brian Hartline & Brandon Gibson, and while Mike Wallace is not safe either, I think he will remain with Miami at least through the 2015 season. Ryan Tannehill needs a legitimate Red Zone and possible #1 wide receiver. A wide receiver core of Wallace, Strong and Juice Landry would give Miami a formidable trio. At 6'2, 217 lbs, Strong is that big, physical receiver the Dolphins want. A former basketball player with a 42" vertical leap, he is very good on the 50/50 balls and in traffic. Terrific hands and very productive his 2 years with the Sun Devils. 75 catches for 1,122 yards and 7 touchdowns earned him 2nd team All-Pac 10, and in his junior year he went for 82 catches for 1,165 yards and 10 touchdowns earning 1st team All-Pac 10 honors. There are questions about his speed, but he ran a 4.44 at the combine. Teams will need to take that into account. Here is a write up from NFLDraftScout.com. And here it is with a little fortune, the ideal scenario where Parker slips to us. One of the most polished receivers in this draft. Parker is a big time playmaker with soft hands, huge wingspan and does his best work when the ball is in the air. Is a true master of his craft. Worst case scenario the Dolphins would be getting an Hakeem Nicks clone (pre-injury) and if Parker reaches his full potential he could become similar to A.J. Green. At any rate a true #1 wide receiver that would give this offense some juice. Mike Wallace and Brian Hartline are out. Enter Parker. The Dolphins revamped their wide receiver corps this offseason. Hartline was simply released, while the team acquired a fifth-round pick from the Minnesota Vikings for Wallace's services. General manager Dennis Hickey then turned around and traded Dannell Ellerbe and a third-round pick to the New Orleans Saints for Kenny Stills. The former Oklahoma Sooner quietly developed into the Saints' No. 1 wide receiver last season. Despite this massive overhaul, the Dolphins shouldn't be finished addressing the position. Stills continued to develop into a more complete wide receiver in 2014, but he's still primarily a vertical threat. Meanwhile, Jarvis Landry found a home as the team's slot receiver. Parker would add a completely different dynamic with his size (6'3" and 209 pounds), athleticism and catch radius. The Louisville product would fill the void as the team's X-receiver. His inclusion would finish the team's complete revamp of the wide receiver corps, and the Dolphins should be better because of it. The Dolphins are in the midst of revamping their wide receiver depth chart, shedding Mike Wallace and Brian Hartline and adding Kenny Stills. But Miami still needs a potential No. 1 target on the outside and Parker fits that mold. Miami gets a versatile lineman that improves the run game as much as the passing game. The Dolphins can get a running back like Jay Ajayi in the second or third round. Adding a young corner is a must. Brent Grimes isn't a kid anymore. In Jarvis Landry and recently acquired speedster Kenny Stills, the Dolphins have two legitimate weapons in the passing game. Neither, however, scares defenses the way that DGB would. How better to double-down on the monster deal given to defensive tackle Ndamukong Suh than to take a similar gamble on the offensive side of the ball with a potential game-changer like the 6-5, 237-pound DGB? They're really thin up front and the oddly built (Flowers is not as ?big? as a lineman; looks more like a giant tight end) Flowers can give them some tenacity and muscle on the offensive line to protect Ryan Tannehill. 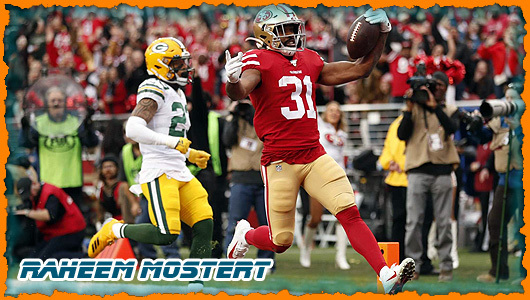 The Dolphins could use help up front so they'll be tempted by Arik Armstead and Eddie Goldman, but depth at corner can never be underestimated - particularly with the top one still on the board. The Dolphins are a tough team to predict due to limited options at their most glaring positions of need. If Trae Waynes is on the board, they’ll take him, but may not reach for another corner. With Strong and Stills on the outside and Landry in the slot, Tannehill would have some nice weapons. Yes, the Dolphins made a huge move in signing former Lions DT Ndamukong Suh, but they had to unload some key players to make room under the cap for him. The draft will provide them an opportunity to start plugging some of those holes, which is particularly a need at linebacker. This may be a bit early for Collins as many see him as a borderline first round prospect. If the Phins believe Reshad Jones can handle Free Safety duties then they may look to add the physical Collins to play opposite him. Collins excels at attacking the line of scrimmage and blitzing. The way this Draft falls the Phins might be better off moving down a few spots and looking at a corner or receiver. I would not be the least bit surprised to see Beckham-Green go in the top 15 picks. Yes he has his off the field questions but his talent can’t be ignored. Miami just shipped Mike Wallace away and also gained Kenny Stills. 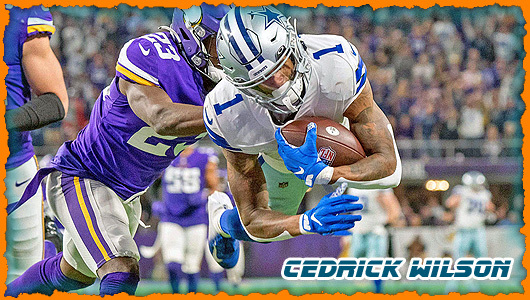 The 6’5, 225 Beckham-Green would be a perfect fit opposite the speedy Stills. This pick will depend heavily on if the Dolphins believe Reshad Jones can move over to free safety. Collins is an aggressive safety who can attack the line of scrimmage. He’s a top flight blitzer and should be able to make some big time plays for this defense. The Dolphins were one of the most active NFL teams the past month, making cuts (WRs Hartline, Gibson; OG Smith; LB Wheeler; DT Starks), signing Free Agents (DT Suh, TE Cameron), and trades (LB Ellerbe to Saints for WR Stills; WR Wallace to Vikings). While Miami added an inexpensive and explosive weapon in Stills (23rd ranked WR, 4th in catch %, 15th best WR rating by Pro Football Focus), he essentially just replaces Wallace. Sure, Landry looks like a gem, but that's about it. Hazel is an unknown and Matthews is a special teams/depth player. The Front Office has met with Free Agent WR Crabtree and will be doing so soon with Jennings. The need is there. Green-Beckham comes with risks but his size and raw abilities cannot be taught (route-running and strength can be improved, however). He was the #1-ranked recruit in 2012 for a reason. Brandon Gibson is gone, Brian Hartline is too, and Mike Wallace has a chance to be traded. In short, wide receiver is becoming a pretty clear need for this offense. Parker has as high a ceiling as you can find in this class and it wouldn't surprise me at all if someday we're talking about him as the best of the top three guys in this class, as I have them closely grouped. Parker will beat defenders to the ball on high-point catches with his size, leaping ability and catch radius, and he's underrated as a threat to add yards after the catch on short throws. I can see Miami going a few different ways here, but Parker makes sense because the Dolphins need to keep options available for Ryan Tannehill. We haven't had Perriman going this early in our previous mocks, but we've seen two promising signs from him as we've gone through the evaluation process. 1.) His ball skills, which were something of a concern on his early-season tape, appeared to get better as the year wore on. His performance in UCF's bowl game against NC State was the best we've seen from him in terms of catching the ball. 2.) He verified the speed he flashes on tape with 4.24 and 4.27 40 times at his pro day last week. Miami could use him to replace Mike Wallace as its deep threat opposite fellow newcomers Kenny Stills and Jordan Cameron, giving QB Ryan Tannehill some talented weapons to work with. This pick is really strong, there aren't many likely alternatives. Ndamukong Suh will definitely help this team, but, by signing him to such a large contract, the Dolphins were forced to ignore other needs in their starting lineup. One of those needs was at cornerback and that’s somewhere they could address early in the draft. Cortland Finnegan was cut and eventually retired after struggling as the starter opposite Brent Grimes last season. The Dolphins have used picks on Jamar Taylor (2nd round in 2013), Will Davis (3rd round in 2013), and Walt Aikens (4th round in 2014) in recent drafts, but none of them have played much so far in their respective careers. Taylor and Davis have played 345 and 200 snaps respectively in 2 seasons in the league combined, while Aikens played 64 snaps as a rookie. With Grimes going into his age 33 season, now seems like a good time to draft a blue chip cornerback to play opposite him and eventually take over for him as the #1 guy. The Dolphins have Pro Bowl player Brent Grimes, and a bunch of young, unproven corners. Wayne is at the top of the class. Miami’s secondary faltered down the stretch last season. Waynes is an aggressive cornerback who further bolsters Miami’s defense. The Dolphins don’t have a strong side linebacker worthy of starting on their depth chart, but they could look to move Dion Jordan to that spot. If they don’t, adding another athletic freak like Shaq Thompson can give Jelani Jenkins a high-upside running mate to lead this linebacking corps into the future. What appears to be a luxury pick actually ends up being a bigger necessity than most believe. The Dolphins offensive line had a hard time controlling the point of attack. In a low risk, ball control-type scheme, the big uglies need to dominate. Collins is an immediate starter at guard and gives long term security at left tackle. He is a plug and play type prospect that will bring an extra punch to this group. Blood is thicker than water. Former Iowa assistant coach, Joe Philbin, knows how well Scherff has been coached. For now, Scherff is a plug and play left guard.Punishing run blocker who generates tremendous, dominating power on the move. Tenacious and consistently aggressive. Stays upright with good knee bend as he shuffles to the edge in pass protection. Has the athleticism to mirror the pass rusher and keep himself squared up. Athletic, with quick feet. Can reach and seal off a defender in either direction. Swings his hips in to the hole and anchors his position. Waynes is one of my favorite players in this draft. He is long and physical enough to matchup with boundary receivers at the NFL level, but also has the speed and quick-twitch ability to mirror receivers on a variety of routes. The Dolphins have a standout at the CB position in Brent Grimes, but little depth behind him aside from unproven recent draft picks. Waynes could come in immediately to team with Grimes to help support the Dolphins’ improved pass rush with Ndamukong Suh. The best corner on the board and it’s a need position for the Dolphins. 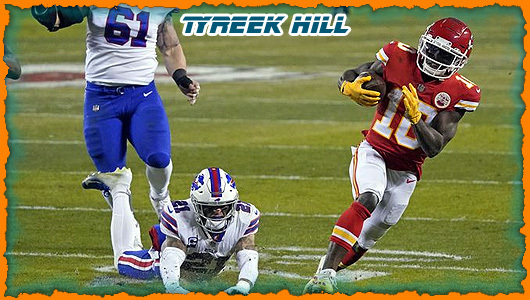 After jettisoning several veteran pass catchers this offseason, the Dolphins need to find a WR1 for Ryan Tannehill to thrive in a fast-paced attack. Parker’s size and athleticism would expand the strike zone for him. The Dolphins have to stop Tom Brady, and take Peters here. Fins have a good defense, but Waynes makes the pass rush even better with his coverage ability. He tackles well, too. The Dolphins filled a lot of needs in free agency, but they could use some more depth in the secondary. This could be a great trade-back spot based on the board and the Dolphins' needs. If they stick here, Parker gives the Dolphins a future WR1. The Dolphins made some waves (sorry pun intended) by signing Ndamukong Suh for $114 million and $60 in guaranteed money. The offensive line is being rebuilt and Peat has the feet to handle NFL pass rushers on the edge. The Phins appear to be back on track after the disastrous final year of former general manager Jeff Ireland’s tenure. The new regime has cleaned up the mess along the offensive line and now it is time to fix some of the mistakes made on defense. On the face defensive tackle wouldn’t appear to be a glaring need but Jared Odrick is a free agent while Randy Starks is on the wrong side of thirty and not in the long-term plans. Eddie Goldman is the next stud defensive lineman produced by the Florida St. program, following in the footsteps of Corey Simon, Travis Johnson, Brodrick Bunkley, Letroy Guion, Andre Fluellen and Timmy Jernigan. Goldman is an imposing physical specimen with excellent size and strength. While not an impact pass rusher Goldman is stout at the point of attack versus the run but quick and athletic enough to penetrate and disrupt in the backfield as well. Eddie Goldman | Florida St. Seminoles Texas DT Malcom Brown is also battling Goldman to be the third player off the board at the position. Miami could be in the market for an upgrade at outside linebacker too and if that's the case Vic Beasley of Clemson and Shaq Thompson of Washington would be options. Don’t rule out some help for the secondary in the form of Alabama S Landon Collins or Michigan St. CB Trae Waynes either. Dolphins GM Dennis Hickey proved to be a bit of a wild card in his first year at the helm so watch out for a curveball too. Miami has done a fine job this off season helping out Ryan Tannehill by adding Jordan Cameron and Kenny Stills and at the same time eliminating a headache in Mike Wallace. Tannehill should have enough weapons now to be successful, but the offensive line still has some holes to be patched. Mike Pouncey will move back to center this year leaving two voids at guard, franchise left tackle Brandon Albert saw his season ended by a serious knee injury and last year's first rounder Ja'Wuan James had an awful rookie campaign which saw him lead the league in QB hurries allowed. LSU's La'el Collins would come in as a fix-it man with the ability to play either guard or tackle spot. He'd make an immediate impact as a mauling run-blocker at guard before eventually taking over one of the tackle spots. Now the Dolphins will have a major decision. 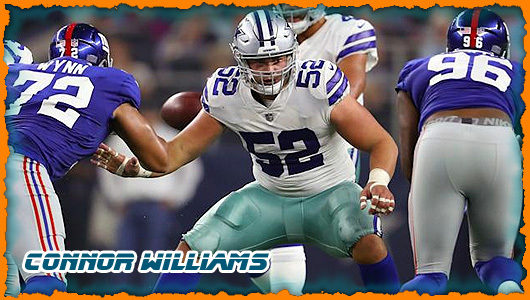 Go offensive line, which is a big-time need; or grab Waynes who offers excellent value at this spot but would be admitting a misfire with Jamar Taylor, a player I also liked in the draft. For now, I say Waynes is too good to pass up at this spot. The Dolphins could go in a number of directions with this pick. An outside linebacker could be the target, as could a running back or a defensive tackle to put next to Ndamukong Suh. Cornerback is a need as well. Waynes is the best one in the draft and excels at press coverage. He and Brent Grimes would make a nice duo in Miami. 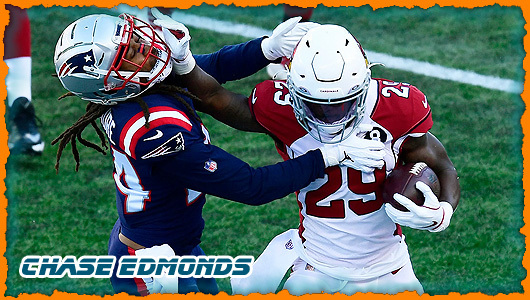 The task of chasing down the defending champion Patriots in the AFC East means the Dolphins must match up better with that Tom Brady-led New England passing game. Waynes cemented his standing as the likely first cornerback off the board by running a dazzlingly 4.31 at 6’0’’, 186 pounds on Monday. Miami made moves to improve an offense that saw an upswing in 2014, and the addition of Ndamukong Suh should reframe a run defense that collapsed down the stretch and probably cost the 'Fins a playoff berth.The next step is to solidify the secondary—​Brent Grimes is great on one side, but the rest of the rotation is a bit of a question mark. Waynes should erase a lot of those question marks with his length, speed and ball skills. “UCF WR Breshad Perriman has first round talent,” said Mike Mayock on conference call. This is your wild card, out of nowhere, crazy no-one-saw-it-coming-pick. Every year a prospect from a mid-major or low-major school jumps up into the first round. This year we’re going with Perriman. The cornerback position opposite Brent Grimes in South Florida is in flux. Cortland Finnegan is gone and Brice McCain was brought in from Pittsburgh in free agency but would be better suited as a sub-package guy. Getting Waynes, the best corner in this draft with the size and length NFL teams crave on the outside, would be a nice fit. 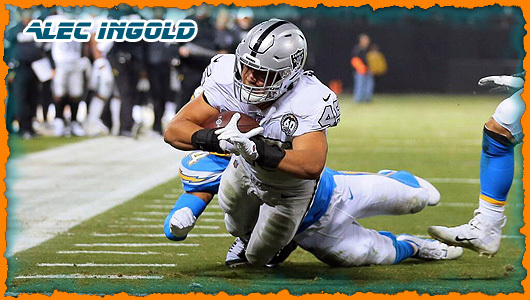 He can step in for retired Cortland Finnegan and form a nice starting duo with Brent Grimes while allowing newly signed Brice McCain to focus on slot duties. The Dolphins grab a future No. 1 receiver for Ryan Tannehill. Jarvis Landry and Kenny Stills are quality No. 2 and 3 receivers, but Miami's offense needs a No. 1 wideout. Parker missed the first seven games of the 2014 season with a broken left foot. He returned to the field against N.C. State (9-132) and had a superb game against Florida State (8-214). The senior only played in six games in 2014, yet he totaled 43 receptions for 855 yards and five scores. Parker was Teddy Bridgewater's best receiver in 2013. Parker was banged up with injuries, but totaled 46 receptions for 743 yards and 11 touchdowns. He led the Cardinals with 744 yards and 10 touchdowns in 2012. The 6-foot-3, 209-pound Parker is an excellent red-zone weapon. Many were surprised when he decided to return to Louisville for his senior year.